After the recent social media outcry over the Ubuntu Baba baby carrier copying, I felt it my responsibility to share our experience with Woolworths. When I read Shannon’s blog post, I really felt her pain, because I had a very similar experience when a friend of mine was shopping the aisles of Woolworths. Her WhatsApp message came in, with a photo of “their product” and that’s where the downward spiral for our business began. 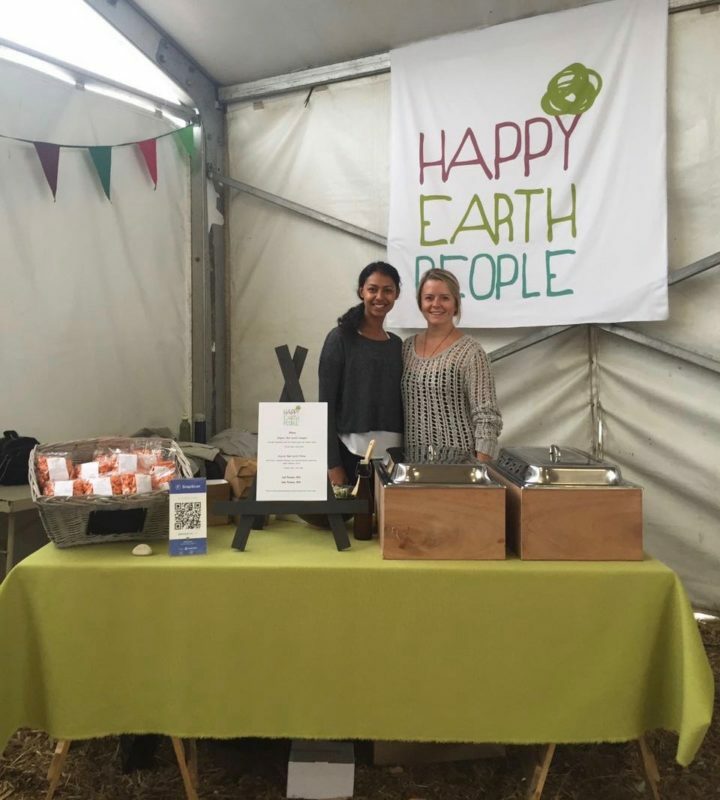 Myself and my partner Candice pour all the love in the world into developing our legume pasta products – and we were by far the first to bring this idea to South African soil when we launched at the Oranjezicht Market in 2016. Locally manufactured, organically grown, no additives, full traceability and certified compliance. Back then, not a single person at that market had ever heard of lentil or chickpea pasta, least of all a massive retailer. Then one day my eyes landed on the Woolworths version of our product. I can remember that feeling like it was yesterday. My heart sank and I felt ill. Given that we are the only local manufacturers making pasta from lentils and chickpeas, and were the first to introduce the concept to the South African market, they quite possibly could have seen and ‘drawn inspiration’ from our products. Sure, I didn’t have a case of plagiarism, but that doesn’t change the effect it has had on our small business – that had big plans. But why wouldn’t they contact us? They brag about supporting local but this is imported from Italy? The carbon footprint, I mean all sorts of thoughts were just flying through my mind. At the time, we were working on securing a business development opportunity with a big corporate. However once they got wind that Woolworths were importing products strikingly similar to ours (obviously at a better price with their economies of scale and automated Italian production lines), this bright shiny opportunity dropped us like a hot potato, insisting that if we could get Woolworths to see the value in our offering, then they’d be willing to re-look at our partnership. I was so confused as to why Woolworths would not source this locally. Did they not realize what this was going to do to us? Our staff. Our sales. Our business. I decided to contact them and request a meeting. Perhaps… there was a tiny chance that they could have been looking into developing a legume pasta themselves, without knowing about my brand, but my gut told me otherwise. My name is Taleszia, I am the founder and co-owner of Happy Earth People. In 2015 we decided make a range of nutritious, eco-conscious pasta products, using one magical superfood as our core ingredient – legumes. 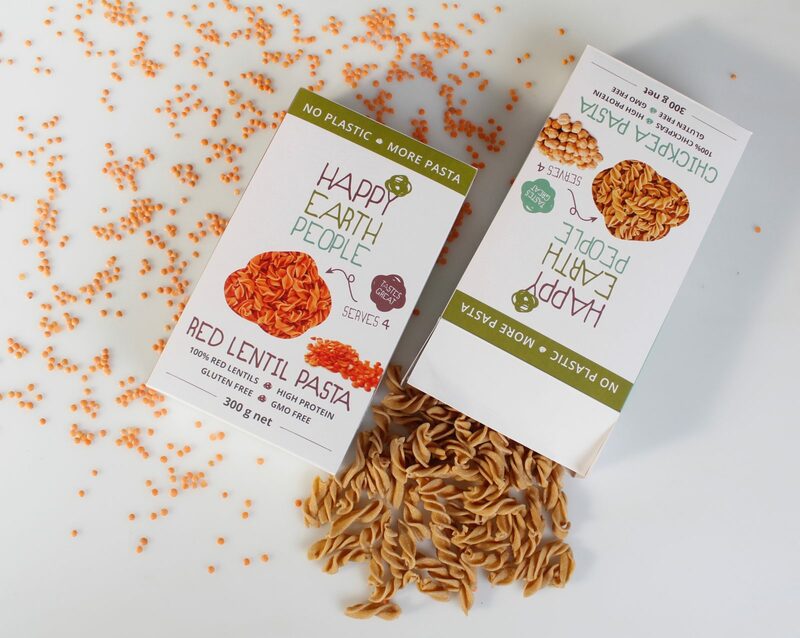 Happy Earth People red lentil and chickpea pasta is made from nothing but pure red lentils and pure chickpeas – no additives. With almost 24 grams of protein and plenty of fiber. The plant protein found in legumes provide the body with steady long-lasting energy. We believe in the goodness and sustainability of legumes; for both our health and the planet. Did you know that not only are they packed with protein and minerals, but legumes are “nitrogen-fixers” too? Thanks to the good bacteria found in their root systems, legumes leave soil even healthier after harvest. Simply put; we love what we do and we do it with love. For the betterment of our earth and our community. We are trying to make a difference in the South African landscape, and were the first to create these powerhouse pastas almost three years ago, in our kitchen at home with a wine bottle as a rolling pin. Please see attached our compliance certification (FSSC) 22000. As well as a presentation with our products. We currently have a factory that employs over 10 individuals that work in creating our products, and want to grow this number significantly. I believe we can do that with Woolworths. I appreciate you passing this on to the relevant parties, any feedback is most welcome. I expected to wait a few days for a response, but surprisingly the response was immediate, on 15 November 2018. Shut down. No reasoning as to why, just that they were not interested in meeting with us. I was devastated. They were not even open to giving us, and our locally manufactured products a chance. I have taken some time to consider this, and would like to please ask for a debrief with regards to your decline to explore our offering. Particularly in consideration that we are able to offer you a better value; quality assurance, full traceability, certified compliance, volume rebates, zero fluctuation in exchange rate, and delicious locally manufactured products. South Africa has declined in manufacturing GDP and there is no sector like manufacturing that embeds wealth, jobs and sustains the economy. Manufacturing is vital for lowering inequality, which is a massive problem in this country. For all these reasons, I am extremely disappointed that a massive corporate like Woolworths would simply decline, without further review. Further to the value that we can add, is the minimisation of import associated risks. We are a BBBEE level 2, female run business. But over and above all these things we are extremely capable of being a Woolworths supplier, and would ensure that all the checks and balances are in place to create a successful relationship. Is this not something you are the slightest bit interested in exploring? All we ask is for one meeting, and for a fair chance to be considered. There was a naïve ounce of hope in me, that perhaps this was an awful nightmare and in the end something really amazing would happen. That we would get the chance with Woolworths, wow! I mean how could they refuse such an offer? We could grow our team, we could actually do some real good! And they would get the best products at the best price! So here we are. It certainly has affected our sales, we are dreading what the impact will be to our team, their families, their children. I cannot explain the feeling at the pit of your stomach when suddenly, everything that you have built, dreamt about achieving and bringing to market with the big guys, is about to fall apart, because your once loved retailer does not have the slightest bit of inkling to support a local business or at least think about the trickle down effect their actions might have. I would actually love to see the statistics of what the impact has been on the South African economy with the number of seemingly similar products manufactured by local SME’s that appear on the shelves of Woolworths. Of course mostly sourced from everywhere else but South Africa. Their ability to back a healthy lifestyle and a green economy is profound, yet they do not seem the slightest bit interested in sourcing from companies that could actually make a real difference to the level of unemployment in this country. I had my doubts about whether or not we should share this experience, mostly because we have been so busy just trying to pick up the pieces. Until the influx of Whatsapp messages came in again, this time because they had read Shannon’s blog post. And they were encouraging me to speak up. So here it is, cathartic in some ways but mostly still horrible. Of course I have no proof pointing to the fact that they do this all the time, as so many have told me, or even that they blatanly copied our products. 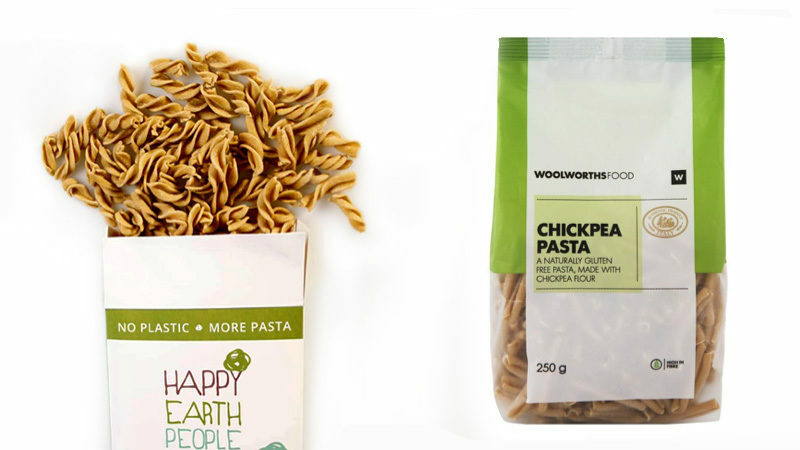 All I know is that they now have a chickpea and lentil pasta on their shelves, not as delicious as ours but it’s there, proudly made in Italy. Of course ours still trumps in flavour and texture (so please buy it so we can continue to stay alive) and is lovingly made by South African hands. So what is my reason for writing this blog post? I feel responsible to share the impact of supporting local businesses, by being brave enough to talk about this publicly, as well as to encourage any others who have been affected by this corporate culture we seem to be living in, to stand up and talk about it too. To make matters worse our sales have been affected, we didn’t get our order from our distributor for January, and this has never happened to us before. So as I write these words we don’t even know how we are going to pay our staff, let alone ourselves. My partner Candice has just had a baby and is besides herself with stress, as am I. We are Happy Earth People. We believe in good things and good people and good business journeys, and we trust that by putting this story out into the universe, something good will come of it. This entry was posted in Local business and tagged Business, Local business.